You can specify one recipient email addresses (example@domain.com), or multiple using a comma to separate the addresses (example1@domain.com,example2@domain.com, andy*@test.com). 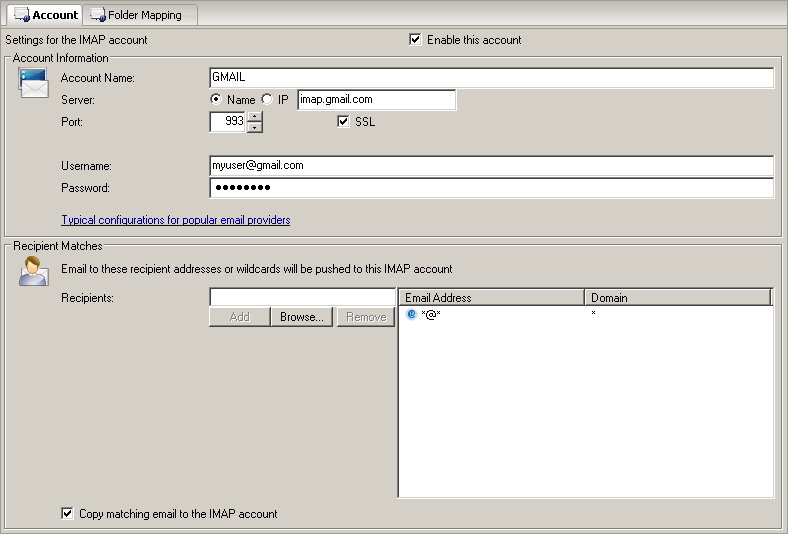 Email with these senders will be uploaded to this IMAP account. This can be useful for uploading sent items to an imap accoutn sent items folder in teh case where you are sending out email thru this product as a gateway and wish to keep an extra copy in an IMAP sent folder.